The Revenue Mobilization Allocation and Fiscal Commission (RMAFC) has revealed that the allowances of President Buhari, Vice-president Osinbajo and other political office holders will be reduced. The chairman of the commission, Elias Mbam, made this known at a valedictory press briefing to mark the end of his five-year tenure as the chairman of the commission. Mbam said that the commission has been using the 2008 remuneration package for seven years during which there had been several changes in the socio-economic indices of the country. He went further to say that the RMAFC has commenced the process of reviewing of the 2008 remuneration package at the beginning of 2015, a step which is the sole aim of the existence of the commission. He however noted that the new remuneration package slash did not concern the basic salary. Mbam said that the commission had submitted documents to effect the allowance reduction documents to the presidency since 2014, adding that the process was ongoing. 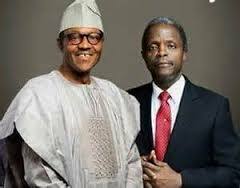 Recall that after being elected as the leaders of the nation President Buhari said he and his vice, Yemi Osinbajo would take only half of the salary paid to former head of state Goodluck Jonathan. Just recently, Shehu Garba, the presidential media aide, debunked rumours that Muhammadu Buhari didn’t accept any adjustment in the salary and allowances of ministers of Federal Republic of Nigeria.